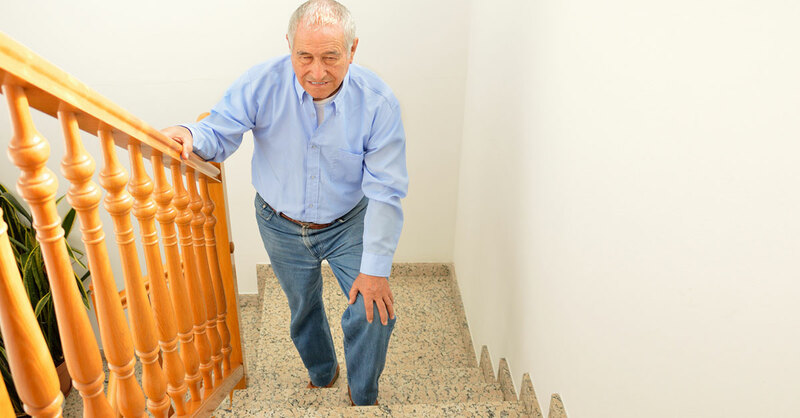 When getting up and down stairs and maneuvering from sitting to standing turns excruciating, you might start thinking about the “s” word—steroids—and specifically corticosteroid injections. These injections into an inflamed knee, hip or shoulder should give you some relief, at least temporarily, and might serve as a bridge while waiting for other options, such as physical therapy, to kick in. Very few treatments will work as quickly. But know the downsides before you make the decision to try them. For one thing, the effects are limited, meaning steroid injections aren’t a long-term solution. While chances are good that your first injection will be very effective, bringing up to eight weeks of relief, each successive injection tends to be less effective than the time before. A lot of people find it doesn’t help them at all after the third one. Beyond their limited effectiveness, growing research has uncovered of a variety of long-term risks from these injections. One study by researchers at Tufts Medical Center published in JAMA found that patients with knee osteoarthritis with received corticosteroid shots over a period of two years lost significantly more cartilage than those who were given placebo injections…and there was ultimately no upside—they really felt no better. For another study at Massachusetts General Hospital, radiologists who specialize in musculoskeletal diagnostic imaging compared follow-up X-rays of about 100 patients with osteoarthritis of the hip who had been given steroid injections for their pain to a placebo-injection group. They found that the bones of the patients in the steroid group deteriorated faster than those in the control group. Another danger exists for those who get an injection too close to hip-replacement surgery. Researchers at Hospital for Special Surgery found that the injection increased the risk for post-surgery infection and other complications. The bottom line here? Wait at least three months after a cortisone injection before making the decision to go under the knife. The most alarming risk factor has to do with spinal injections that use Depo-Medrol (methylprednisolone acetate), an off-label use of a steroid drug approved for muscle and joint injections. Although Pfizer, the drug manufacturer, warned the FDA about cases of blindness, paralysis, stroke and death resulting from injecting the drug into the spine, this information was not made public until a July 31, 2018, New York Times article noting nearly 2,500 serious adverse events related to Depo-Medrol, including more than 150 deaths between 2004 and 2018. Because of the reluctance of doctors to now prescribe opioids for pain, coupled with the fact that many doctors may not have heard about these reports, some are suggesting these injections as painkiller alternatives to their patients with back pain. Hyaluronic acid. Hyaluronic acid can be injected into a joint to act as a shock absorber and lubricant. When you have osteoarthritis, your body’s own supply of hyaluronic acid breaks down and your joints don’t move as smoothly as they used to, causing pain. Typically, a series of injections are done over three to five weeks. Some patients have been able to delay knee replacements for up to three years with hyaluronic acid injections. There is a slight risk for an allergic reaction. Platelet-rich plasma. Platelets extracted from a patient’s own blood are being used with more frequency these days. The idea is that growth factors found in your blood plasma could help you to regrow tissue. It also helps mitigate pain, though it’s too soon to tell whether one, two or three injections are needed to get the benefits. If a patient finds that one helps, your doctor may repeat it a few times. A meta-analysis that included a total of 1,423 people and published in Journal of Orthopaedic Surgery and Research found that patients had less pain and better function with PRP than other treatments, including steroid shots, after a year of follow-up. The downside to PRP is that most insurance companies will not cover it, and a single injection can cost in the hundreds of dollars and up to $2,000, depending on your area of the country. Stem cell injections. Stem cells can be taken from your fat using liposuction. Another option is donor stem cells from amniotic fluid. The procedure takes about an hour in an outpatient setting. Like PRP, it might not be covered by your insurance and can be as costly. Also, it isn’t yet widely available in the US. However, recent research published in Stem Cells International shows that it has promise, especially for osteoarthritis. None of the existing treatments can regrow cartilage, and all have some drawbacks. With any type of injection, you may experience pain at the injection site, tissue damage or nerve injury, and there’s always a slight chance of infection. But they can be helpful, at least in delaying knee- or hip-replacement surgery in many people. Remember, too, that there are many conservative treatments that can help, such as losing weight, stretching, walking and other exercises, ice and nonsteroidal anti-inflammatory drugs (NSAIDs).